Interlinking mono coloured overlays are captured on the faux leather metallic upper on the Lotus Trisha shoe. 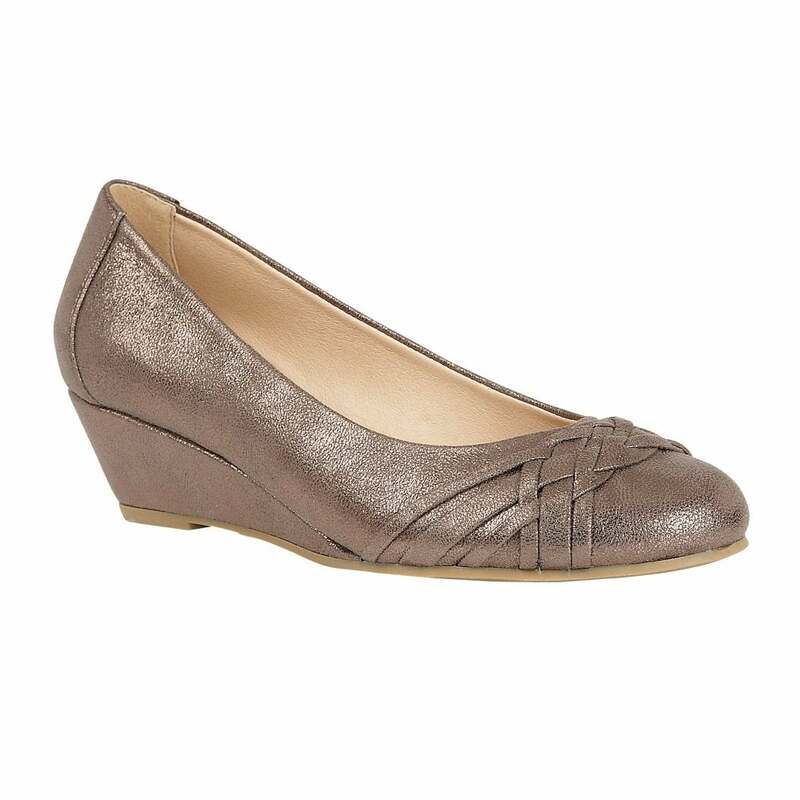 This pewter, slip-on ladies’ shoe also features a soft rounded toe and a very wearable 4cm wedge heel. Team this Lotus wedge shoe with your office attire Monday-to-Friday and then come weekend jazz up your favourite denim with this striking pair.